Labour Day parades began in 1890 when thousands marched to celebrate the 50th anniversary of the eight-hour working day. It soon became an annual event in many cities and towns. This is the Gisborne parade in 1908. 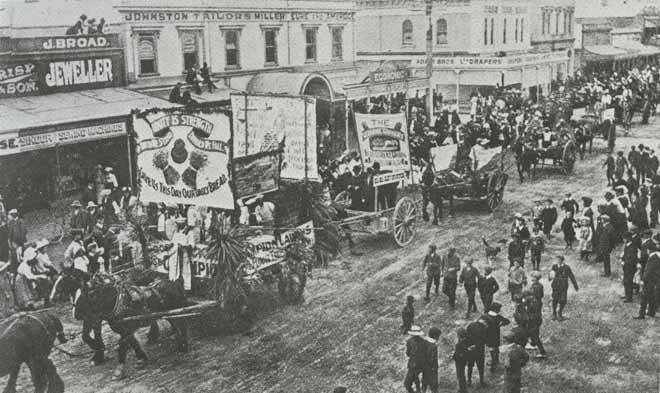 Floats represented different trades, and banners carried union slogans, like ‘unity is strength’.